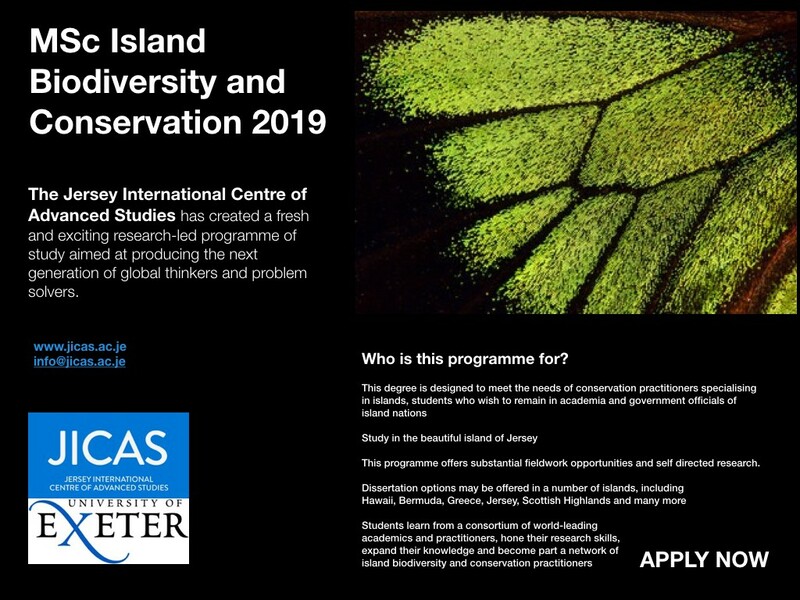 The Jersey Bat Group is delighted to offer a £2,500 bursary towards a place on the MSc in Island Biodiversity and Conservation which is being delivered by the Jersey International Centre of Advanced Studies and is accredited by the University of Exeter. Please email info@jicas.ac.je for more information. Error: Error validating access token: Session has expired on Sunday, 14-Apr-19 06:52:38 PDT. The current time is Thursday, 25-Apr-19 17:09:47 PDT.